Peter Antor is a 2017-18 Resident Artist at Lillstreet Art Center. 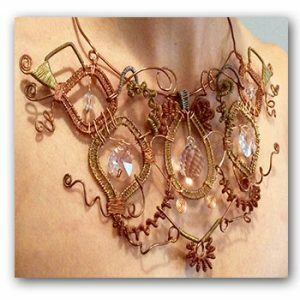 Antor received his masters in Metalsmithing & Jewelry from Edinboro University of Pennsylvania in 2016. Katelyn Butler received a MJSA Education Foundation scholarship. Butler is working toward her masters at Southern Illinois University Edwardsville. Kaminer Haislip shared her silversmithing process on the INSP television show Handcrafted America on October 27th. 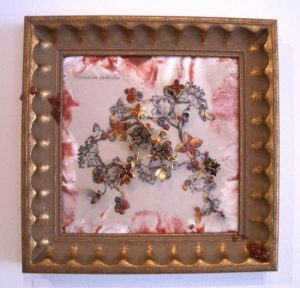 Hannah Oatman is a new resident artist at Houston Center for Contemporary Craft. Oatman received her BFA from SUNY New Paltz in 2017. Barbara Mann had two jewelry pieces (one shown at right) in the Red Clay Survey exhibition at Huntsville Museum of Art in Alabama. 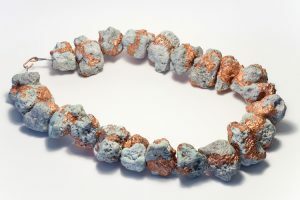 Jennifer Park is expanding her Wear Ever Jewelry to curate the work of about 20 additional craft jewelers. Work will be available both online and in-store by mid-November. A retail location will be opening in “Old Town” Alexandria, Virginia. Claudio Pino’s Cristalline ring (at right) was worn in movie The Dark Tower, based on the novel by Stephen King. 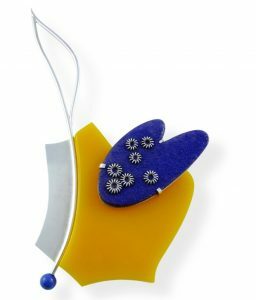 Marilyn da Silva has been named a Master of the Medium in metal and jewelry by Washington D.C.’s James Renwick Alliance (JRA). 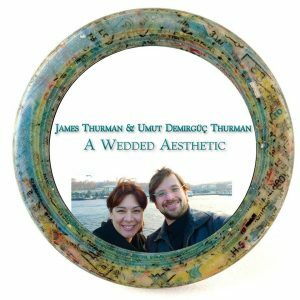 These awards are given every other year to outstanding artists doing extraordinary work in five traditional craft media: clay, fiber, glass, metal and wood. 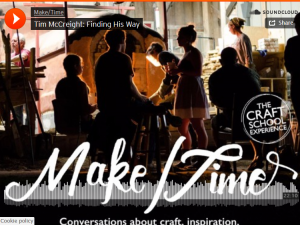 The awardees are invited to Washington for JRA’s spring celebration of craft, to receive their award and give a presentation describing their work. 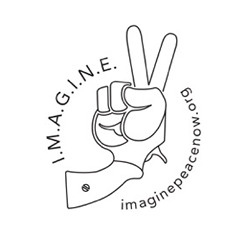 Boris Bally organized the Innovative Merger of Art & Guns to Inspire New Expressions, or IMAGINE PEACE NOW exhibition and catalog. It is a call to arms, hearts and hands intended especially for contemporary metal artists. 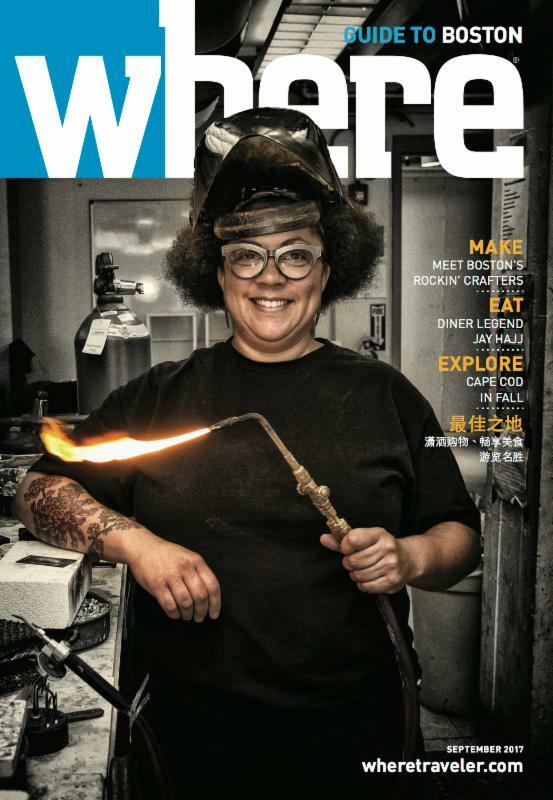 Caitie Sellers is featured at The Metal Museum. Her exhibition Tributaries: Caitie Sellers runs January 29-April 16. Sellers seeks to find the familiar among common themes and ubiquitous materials such as brick, wire and asphalt. 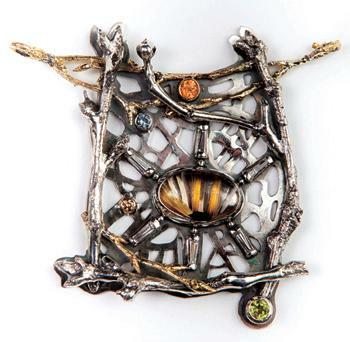 She transforms imagery of architecture and urban infrastructure into jewelry. 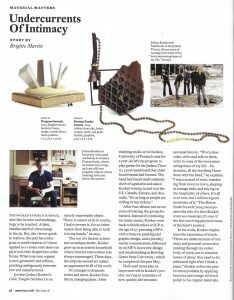 Peter Antor began working in September as an Artist in Residence at Lillstreet Art Center. Ezra Satok-Wolman spoke and exhibited at TRIPLE PARADE, an International Art Jewelry Event in China. SNAG would like to take this opportunity to recognize our Corporate Members for their support: Halstead, NextFab, Pocosin Arts, and Shapeways. 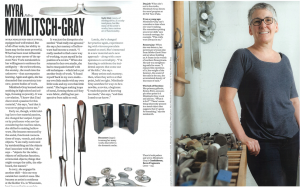 Myra Mimlitsch-Gray is featured in the October/November issue of American Craft magazine as one of the recipients of the 2016 American Craft Council Awards. Niki Grandics is the recipient of the 2016 Halstead Grant, recognizing jewelry design excellence and business strategy acumen amongst enterprising new jewelers. 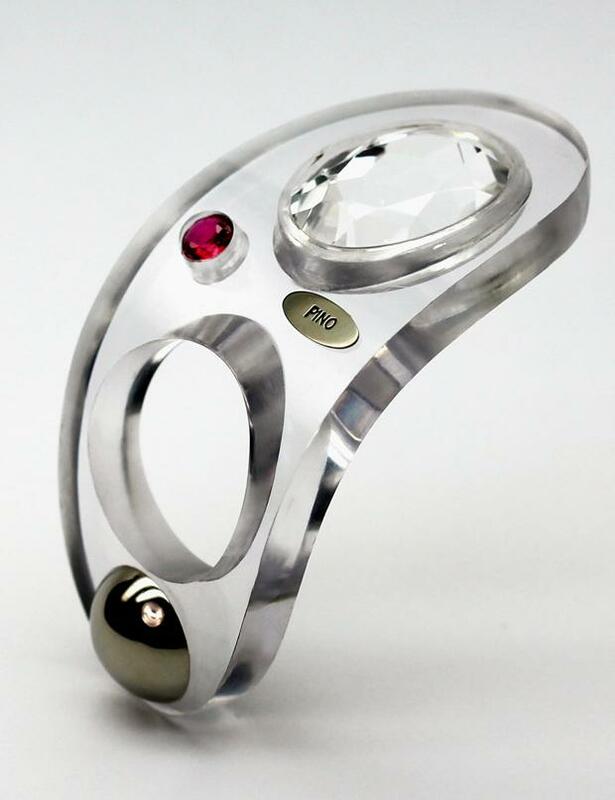 Niki trained at San Diego State University and GIA and is the owner of ENJI Studio Jewelry. Three SNAG members were also Halstead Grant finalists: Kristen Baird, Olivia Shih, and Stacy Rodgers. Jasmine Chan was chosen as one of the four winners of the 2016 MJSA Education Foundation Scholarships. Chan is pursuing a diploma with GIA. Jaydan Moore’s Inverse Formation will enter the collection of the Honolulu Museum of Art. 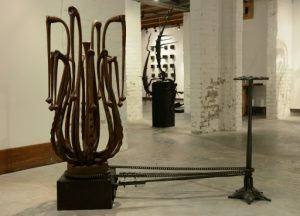 The piece is constructed from coffee and tea pots and a sugar bowl.